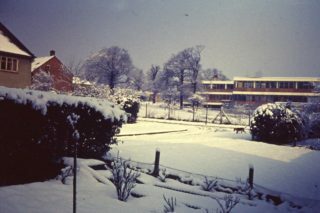 This photograph of ‘ Carpender – Capel and Ascham ‘ blocks at Clarendon School was taken from Muirfield Close, (off Muirfield Road), in December 1962 by my husband who had very recently moved into the area during that winter. This page was added on 23/12/2012. I remember this 1962/63 winter well! The snow started falling on Boxing Day and this heralded the beginnings of the coldest season in recorded history. Temperatures did not recover until the second week in March, after a prolonged period of sub-zero readings. There was widespread disruption to transport and sporting events, quite apart from the problems referred to by Neil Hamilton. 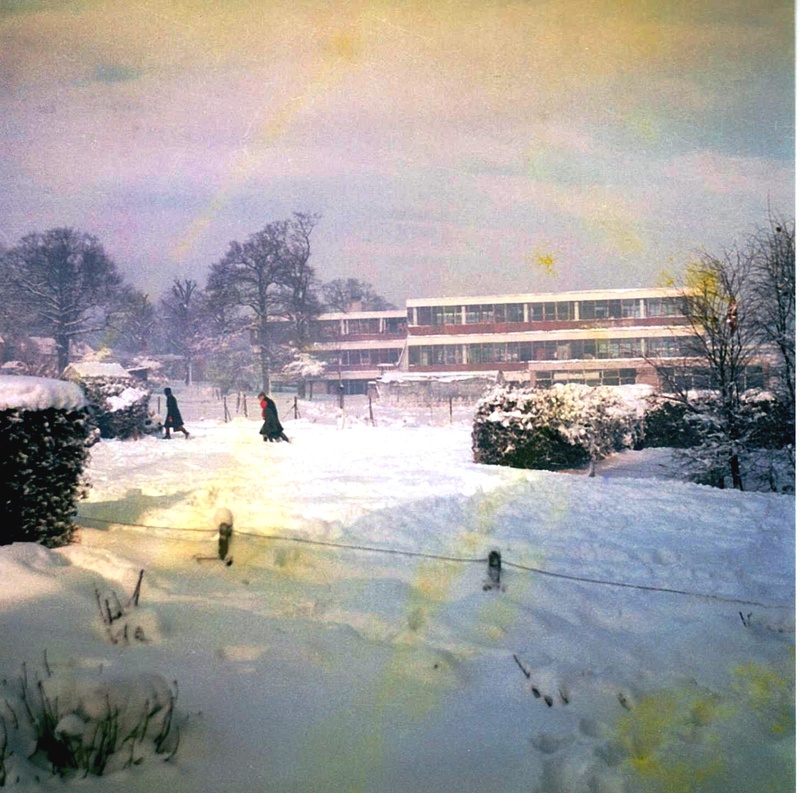 December ’62 had been a relatively mild month until Christmas and I recall attending a combined Staff-Student Dance (really a disco) in the Main Hall, Clarendon Block, during the final week of term. In this view looking north from Muirfield Close, the single-storey Ascham Block can be seen in front of Capel and Carpender tower blocks. How different this view looks now, fifty years later, following the demolition of these buildings in the late 1970s. Great photograph, Sue!! Happy New Year to all the Waller Family! Now that looks cold! Proper winters back then weren’t they. Lofts and pipes not lagged – no central heating, curtains frozen to the windows. Aaaah, happy days.